According to the 2018 Cost vs. Value Report by Remodeling Magazine Publisher Hanley Wood and the National Association of Realtors (NAR), garage doors remains a top home improvement project this year. Why is replacing the garage door so valuable? Replacing the garage door is such a valuable project because it falls into the category of curb appeal projects. Curb appeal projects focus on the exterior so they're the first things that people see when they look at your home. Curb appeal projects include the front door, garage doors, landscaping, siding materials, driveway, windows and other fixtures like lights and shutters. Especially in Lubbock, many homes have front facing garage doors that typically take up 30 to 50% of the front of the home. 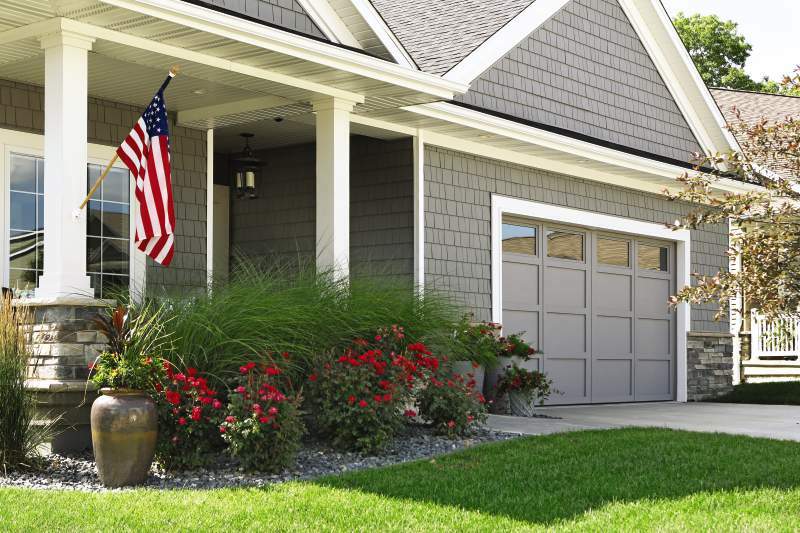 Having an old, outdated garage door will have dramatic effect on the curb appeal of your home. Think about when you're going to sell your home. A prospective buyer approaches your home and sees two garage doors that are rusted, bent and worn out. When prospective buyers go to view a home usually the first thing they see are the garage doors (if on the front of the home) and if they see outdated doors, they'll automatically see an expense they'll have to incur if buying the home. It's extremely important to provide value and one of the surest ways to do that is by updating the garage doors.